What is a Personal Tax Account? How do I get one? What can I do with it? It is intended to make it easier for individuals to review and manage their tax affairs online, together with other interactions with HMRC such as tax credits or child benefit. By December 2016, 7 million people had accessed their account. Using your existing Government gateway account. You will have one of these if you have previously submitted a Tax Return online. You will also need a note of your National Insurance number. Using Gov.UK Verify. HMRC will ask you to select from a number of companies who will ask you some questions and check certain documents and financial information in order to verify your identity to HMRC. You will need access to personal documents such as a P60, bank statement, passport or driving license. Visit www.gov.uk/personal-tax-account to set up or sign into your account. What can I do with my PTA? HMRC are working to increase the number of services and the information that you can access through your account. Go paperless: opt out of receiving paper copies of various notices. Authorise a friend or family to manager tax affairs on your behalf (need to use the Verify ID check). 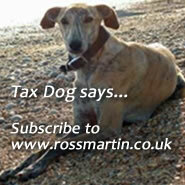 Make a notification under the Disclosure of Tax Avoidance Scheme (DOTAS) rules. Claim a repayment of higher SDLT rate following the sale of your main residence. A full list of services can be found in HMRC’s guidance here.